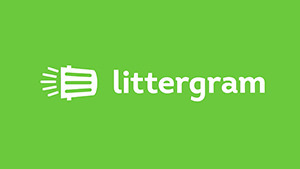 Littergram 2: Mission Control - App Explainer Animation | Mair Perkins Ltd.
Littergram is a free app available from the iTunes store and Google Play that empowers everybody to help clean up of Britain by reporting litter they spot. They hired my animation studio to make a sequel to the first Littergram animation to inspire kids to use the app and also encourage councils to sign up to the Littergram mission control feature. This feature enables councils to receive geographical location reports of litters in their area. When I had an idea for an animation for our LitterGram campaign, I was completely in the dark but soon found that there was this amazing award winning company called Mair Perkins Ltd. that seemed to be the best kept secret for anyone wanting to do an animation. Their approach to the whole process was extremely professional and proactive and the end result is an exemplar piece of work that achieves exactly what we wanted. I have since recommended Mair and her team to a number of other clients and have also now engaged them to carry out another project for us. I can only say, use this company and you will look nowhere else for your animation requirements.